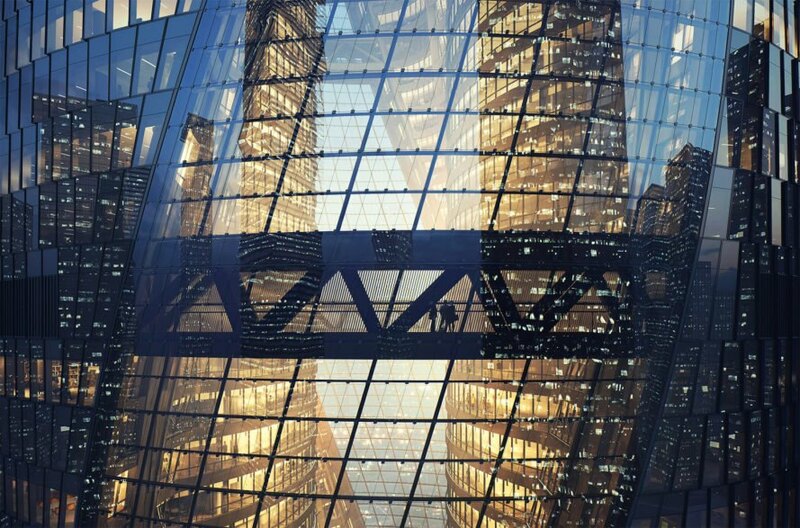 Beijing is one step closer to completing the world’s tallest atrium. The 190-meter-tall atrium is part of the Leeza Soho, a 46-story mixed-use tower currently under construction that recently reached level 20. 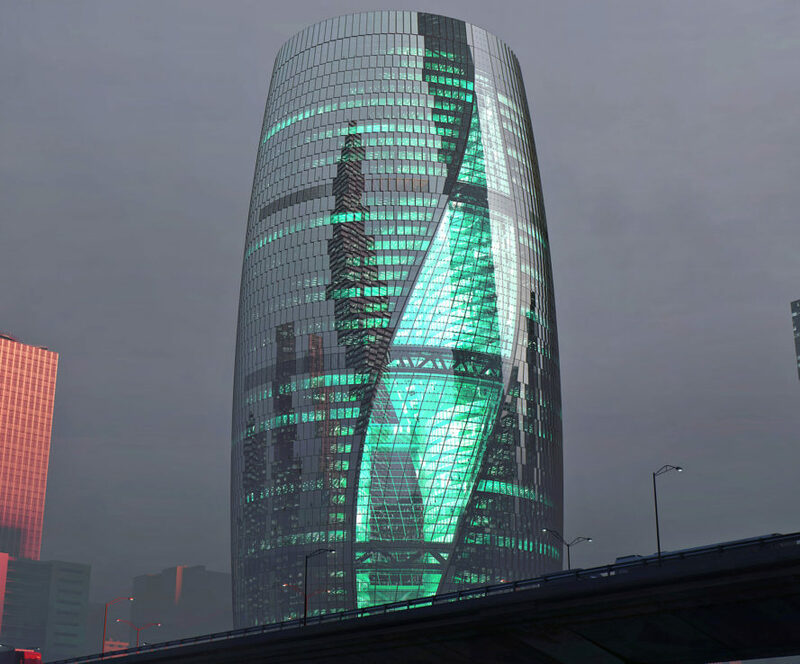 Zaha Hadid Architects designed the striking light-filled building integrated with energy-efficient systems and engineered to meet LEED Gold standards. The twist in the atrium allows natural light to penetrate into the center of all the floors and allows for a diversity of views into the city from all directions. To maximize energy efficiency, the glass curtainwall system is constructed with double-insulated low-e glazing units. High-tech insulation, self-shading and use of an advanced 3D BIM energy management system with real-time monitoring will help create a comfortable indoor environment year-round. 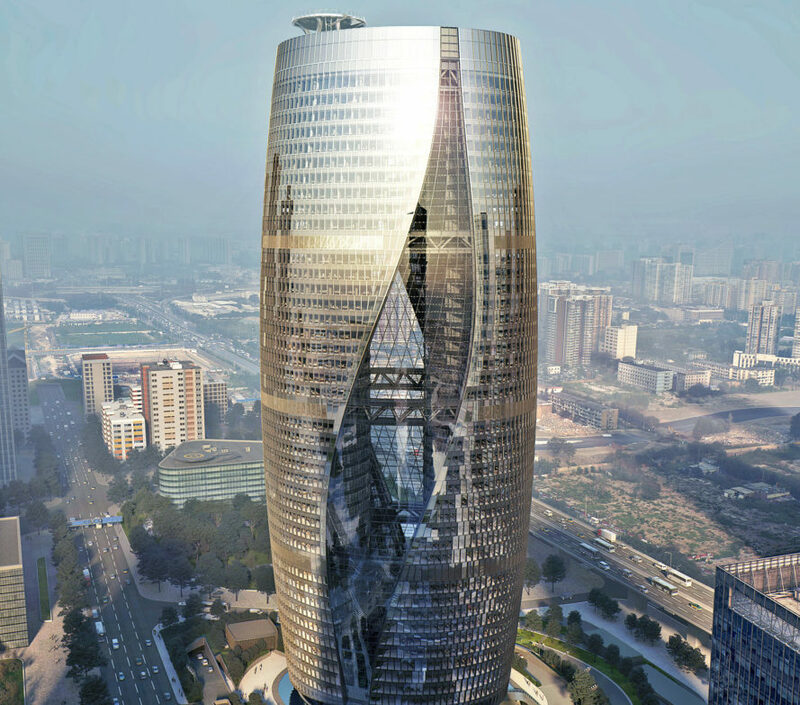 The tower will target LEED Gold certification and also includes heat-recovery from exhaust air, high-efficiency pumps and fans, chillers and boilers, low-flow rate fixtures, gray water flushing, high-efficient air purifiers, and low VOC materials. Leeza Soho will reach its full height of 207 meters in September this year. The tower is slated for completion in late 2018. That's terrible. She was a very big name in the architecture world. I really like her designs and I always keep her in mind while Model Making in UAE. Very sad. Big fan of the Riverside Museum. Here's one of my favorites of hers. Shaped like a slim barrel, the 172,800-square-meter Leeza Soho is set within the Lize Financial District and will be well connected with the city thanks to its position above a subway interchange station and proximity to the city’s bus routes. The twist in the atrium allows natural light to penetrate into the center of all the floors and allows for a diversity of views into the city from all directions.